My youngest son was born six months ago this month. During that time he has learned to hold his head up, grab toys, roll over, and — my favorite — smile. It’s been an incredible short journey, but it certainly doesn’t seem like he was born six months ago. In fact, it seems more like five minutes. A friend warned me years ago that when you have children, time accelerates. It’s as if “Back to the Future’s” Marty McFly and Doc Brown are in charge of your life, driving you from year to year in their magical DeLorean—all with the power of that much-needed flux capacitor. But we don’t need to depend on Hollywood movies to understand and appreciate the brevity of time. God warned us long ago that our lives are like a “mist that appears for a little time and then vanishes” (James 4:14). The Bible’s point isn’t to depress us but to give us a sense of urgency—to encourage us to treat each day as if it could be our last. Life, after all, is a gift, and we should live with a spotlight on eternity (Hebrews 13:14). But with so many distractions in our day-to-day lives, how do we stay focused? 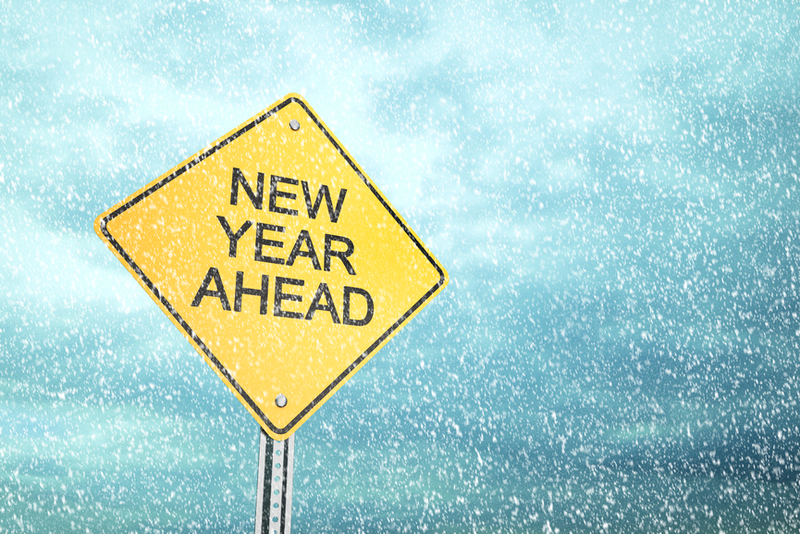 Here’s one way: Make meaningful New Year’s resolutions. Last year I listed five resolutions on this blog: Each day vow to read the Bible with your child; get home from work earlier; say more positive words around your child; spend less time on your smartphone and love your spouse more in front of your children). This year, I’m listing a few more—for me and perhaps for you, too. 1. Pray for your kids. I’m not referencing the weekly or monthly “dear-God-please bless-my-child” prayer. I’m talking about pleading with God each day—and even throughout the day—for your kids. Yes, pray for their health, their grades and their relationships, but also pray for their future. Do you want them to have a great career? Marry a godly spouse? Give you wonderful grandchildren? Then pray for it. The Bible says there are blessings from God we don’t receive because we don’t ask (James 4:3). That’s convicting, isn’t it? My first New Year’s resolution took place as a young adult, when I pledged to read the Bible—from Genesis to Revelation—in one year. I remember enjoying Genesis and Exodus, struggling a bit with Leviticus and Numbers, and then getting bogged down in Deuteronomy. Deuteronomy at the time was like quick sand, and I never made it out. I since have made it through Deuteronomy, but I’m still mostly a failure at New Year’s resolutions. For instance, my 2014 New Year’s resolution was to plant garlic. It’s unique and incredibly healthy, and it would save my family a bit of money. But I never even purchased a bulb. Still, New Year’s resolutions are worth pursuing, especially when it involves something as significant as your faith or your family. While resolutions themselves aren’t mentioned in Scripture, the Bible does have a lot to say about second chances and new beginnings (Psalm 51:10-11). I imagine even the Apostle Paul would have made New Year’s resolutions. After all, it was never-look-back Paul who wrote, “But one thing I do: forgetting what lies behind and straining forward to what lies ahead, I press on toward the goal for the prize of the upward call of God in Christ Jesus” (Philippians 3:12-15).